Swept away to Luxembourg | 15,000kms of Food! When I heard that Andrew McConnell was going to swap out Golden Fields with a European bistro named after Jardin du Luxembourg my heart leapt for joy! Luxembourg! There are not enough bistros in Melbourne in my opinion. Especially those inspired by phenomenal gardens in Paris! Joy! Went for the chef’s selection, which was excellent. 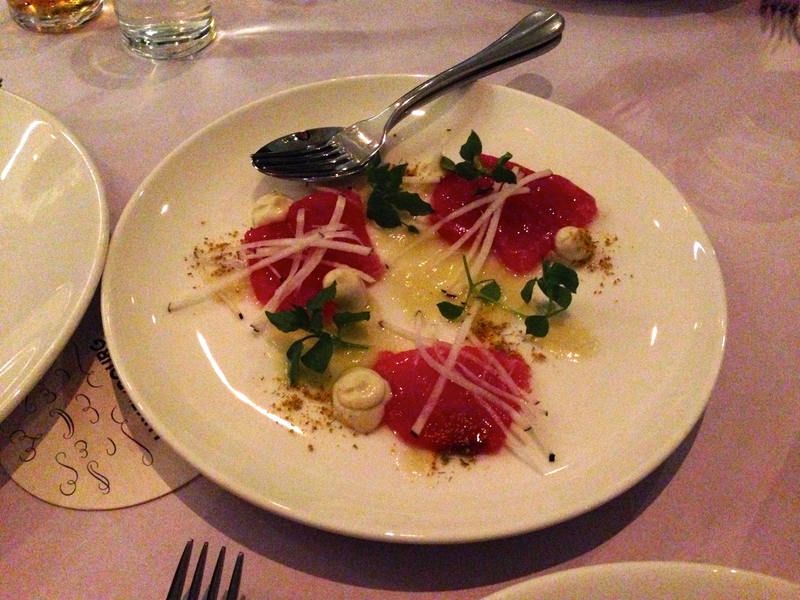 But I really wanted to try the “potato skins, whipped cod roe & avruga” and that was not included…. I’ll just have to go back! I love love love a good selection of chacuterie and this ticked all the boxs. 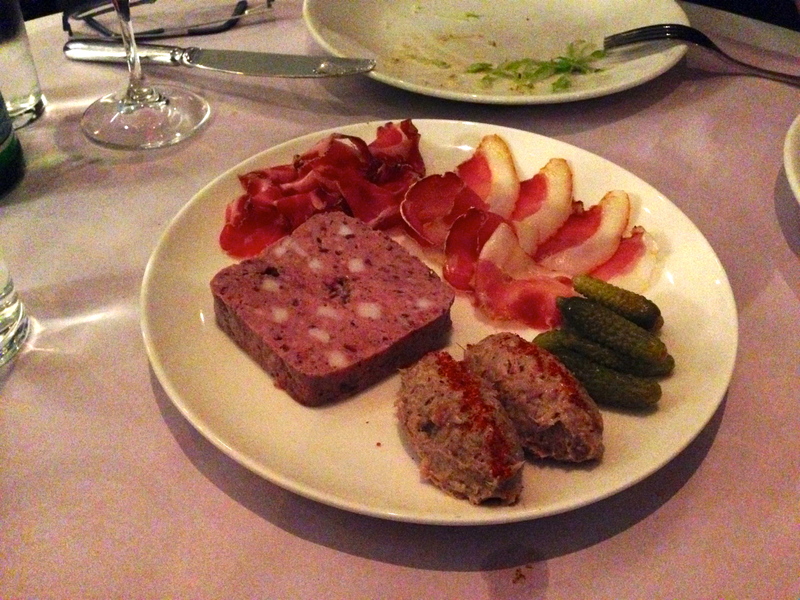 Rillettes, terrine, cured meats… yum! 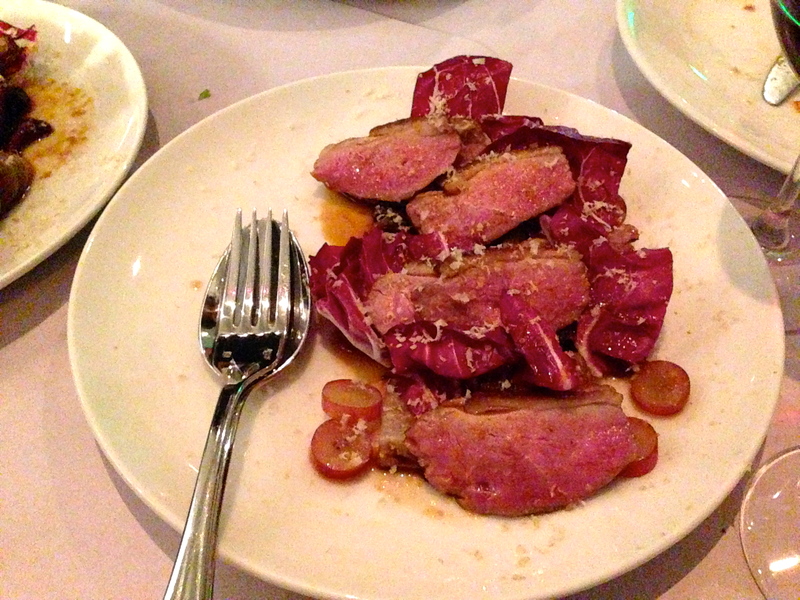 The “radicchio, smoked duck breast, grapes & walnut” was epic. It was such a powerful taste for such a small dish. Smoky dish with bitter raw radicchio and braised sweet radicchio. It was wonderful. 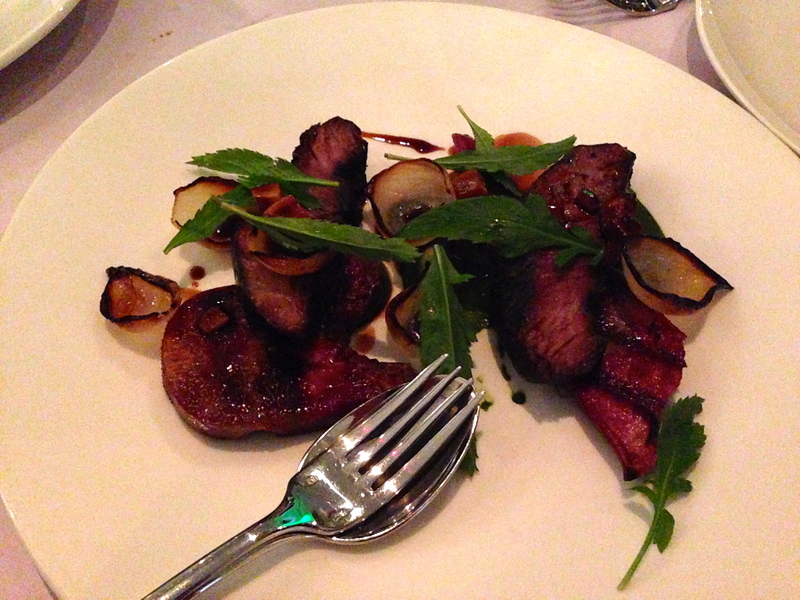 “Slow braised beef short rib, grilled tongue, red wine sauce & parsley” was excellent. Meat was tender and cooked to perfection. 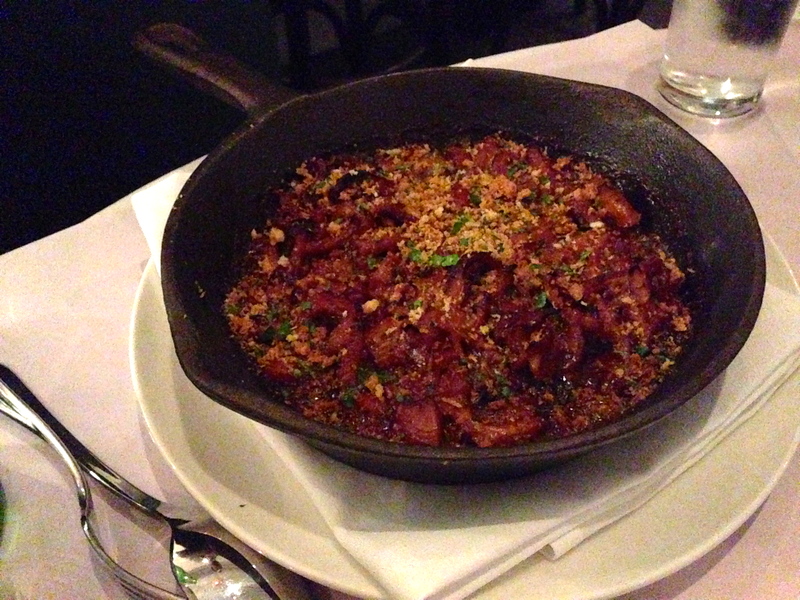 We then got to try the “tripe & cuttlefish braise, brioche crumbs“… which is an amazing genius dish. I don’t even like tripe but I adored this! Desserts followed, first up was the “Mille-feuille, spiced quince & brown sugar cream” which was fantastic. 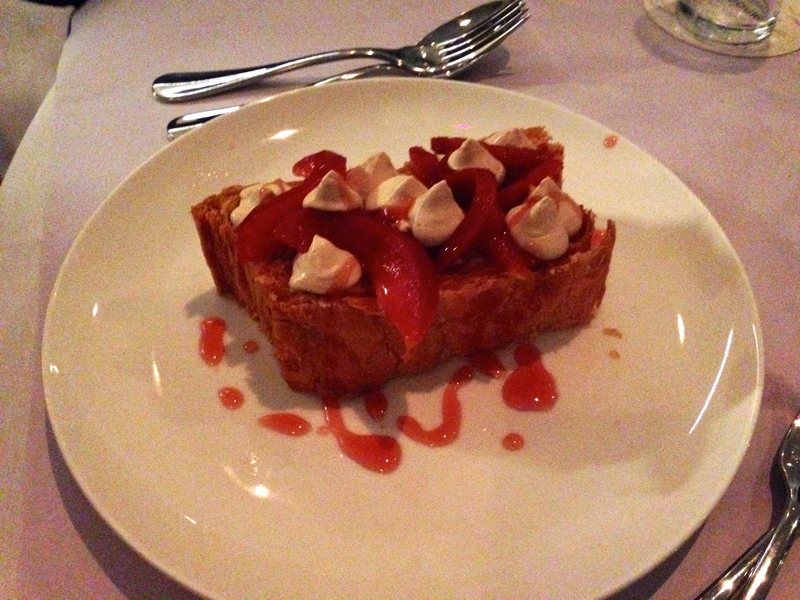 The pastry was crispy, the cream was not too sweet and the quince added a nice tartness to the dish. Despite sounding like a heavy dessert, it was light and delicious. 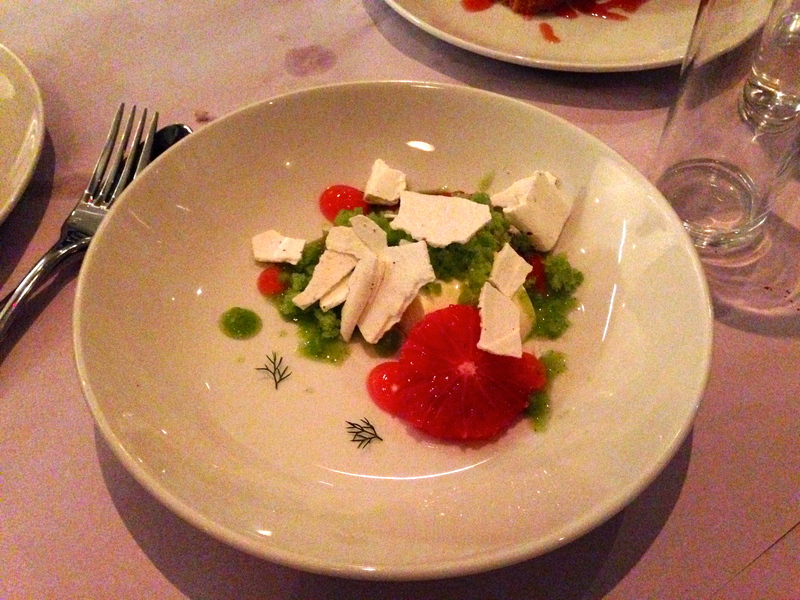 The “buttermilk panna cotta, blood orange, meringue & fennel granita” was a nice cleanser and a great way to end the meal. So it’s pretty obvious that I loved this restaurant. 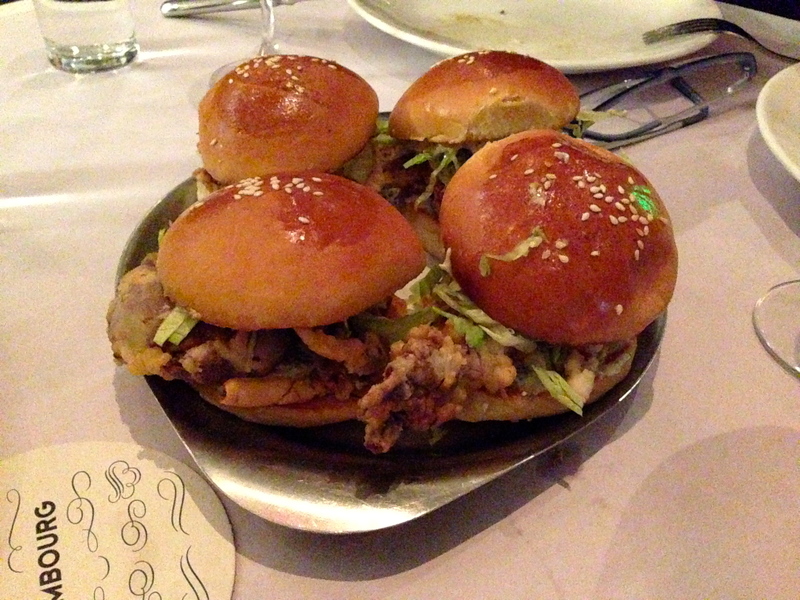 I loved the food… but service was a bit patchy and the layout of the restaurant is a bit awkward. But I’m willing to forgive all that for the great food! Previous PostLucy LiuNext PostHappy New Year!